Experiential learning Archives - Fast Mirror - 360-Degree Feedback. When it comes to development planning, there’s no shortage of excuses for falling behind and taking shortcuts. Which of the following sound familiar to you? 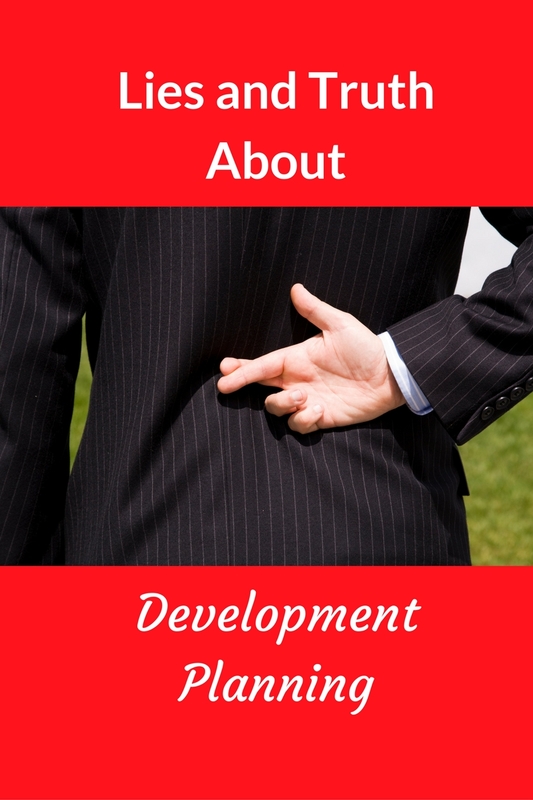 If you or your clients are currently citing any of these lame excuses for allowing development planning to be a low priority, read on. None of these reasons are valid. In fact, they are common misconceptions that people have about development planning. You need to spend a lot of money to get quality development. Oftentimes in large organizations with ample budget for training and development, there’s a handful of carefully chosen people, usually executives or senior managers, who are swept away to a beautiful campus where they receive individualized attention designed to make them better leaders. They attend insightful lectures, interact with smart people from other companies just like themselves, and eat like royalty. (If you’re looking for a con, I’ve also heard they don’t get to sleep much.) When they return to the office they speak of how amazing it was, how much they learned, and that ultimately they will be better leaders because they were given the gift of attending that program. Who can blame them, it sounds pretty great. Whether or not such programs provide value, one of their unintended negative consequences is the perception that high quality development planning activities are expensive. With just a few individuals chosen to participate in these programs each year, it’s easy for those left behind (i.e., nearly all of the other employees in the company) to think true development is out of their reach. After all it’s human nature to think that more expensive products are higher quality than lower priced ones. Fortunately, this is just not true for development planning. It takes much more than attending a program, expensive or not, to facilitate learning. Research has consistently found that experiential learning facilitates development, and there are definitely ways to get it within the scope of your everyday job – without an expensive, formalized development program. You just need to think about how the skill you want to learn applies to your own work, and seek out an opportunity to do so if there’s no direct link. It won’t come to you unless you look for it. You can’t do it without manager support. Back in the day, development plans were owned by managers, not their employees. Leaders were expected to ensure employees were executing their development plans and hold them accountable for not doing so, which generally meant making sure they attended required training. It also meant if an employee wanted to attend a particular training program or participate in a special development activity, manager approval was required. Today, ownership of employee development is shifting to where it should be: with the employees. Managers are still expected to support their team’s development planning activities but it’s more of a facilitative role rather than one of enforcement. Although there are still plenty of ineffective managers that don’t do this well, employees have all the resources they need to take their development into their own hands with or without management support. There are online courses and training from providers such as Udemy and Lynda, and if you can’t find something in your price range you can probably find it for free on YouTube. There are networking groups, LinkedIn groups, and Meetup groups for just about anything. If you don’t find what you’re looking for, you can start your own group. And because you need feedback to facilitate development, there are tools such as Fast Mirror for Individuals that allow employees to independently launch their own feedback surveys and create customized development plans. So if you’ve been saying that your manager is holding you back from pursuing your professional development, that is an outdated perception. Use the many resources you now have available and take ownership of your development, because nobody else is going to – nor should they. You don’t have time to focus on development – it takes too long. In our consulting work we’ve coached so many employees and leaders who were striving for “quick hit” development goals despite having genuine desire to further their skills. “I can’t do anything that will take up a lot of time,” “I still have to be able to do my day job,” and “I need to be done by XYZ date” were common concerns expressed by many clients. If you’re thinking the next thing I’m going to tell you is not to worry because development doesn’t have to take a lot of time, I’m not! The fact is development does take time. There’s no magic course, activity, or fast track to becoming better. It takes time….it doesn’t happen overnight….yada yada yada….all the things you’ve seen in the memes and quotes on your favorite social media. So the excuse that development planning activities take too much time is not so much a misperception as it is a flawed view of what development planning truly requires. It is counterproductive to your professional growth to expect to be able to bang out some quick hits in your development plan for the sake of saving time. If you’re really struggling to figure out how to fit things in, read some time management tips such as this article and find ways to make the time. If you’re not motivated to do that, consider how committed you are to your goal. Your measurement must have numbers. When people set goals to improve technical or financial results, they’re pretty good at coming up with success measures because numerical data is inherent to the stated deliverable (increase in revenue, reduction in program errors, etc.). For non-technical or competency-based development (leadership, communication, etc. ), numbers are also readily available as success measures through feedback surveys that score behavior on an effectiveness or frequency scale. This is great, you know we love feedback surveys! But if you’ve spent all this time on your development, don’t you want more insight than an ambiguous number? An average score from an effectiveness scale of 1 to 5, which will probably fall somewhere between 3.8 and 4.5, is not going to provide you much insight. What did you do well and what do you need to continue to work on? What did people find surprising? What impact did you have? The answers will tell you not only how much you’ve improved, but why and how. Don’t reduce your development to be solely focused on numerical data, include qualitative measures as well. Ask for specific examples of what you did, how you did it, and what impact it had. If you need some ideas, check out this blog post for examples of SMART goals that include success measures both with numbers and without. What about you, are there other reasons you’ve been citing for minimizing your development planning efforts that you should reconsider? Share in the comments! In my last post, I provided a few examples of SMART goals for developing competencies or “soft skills” (as opposed to technical skills). 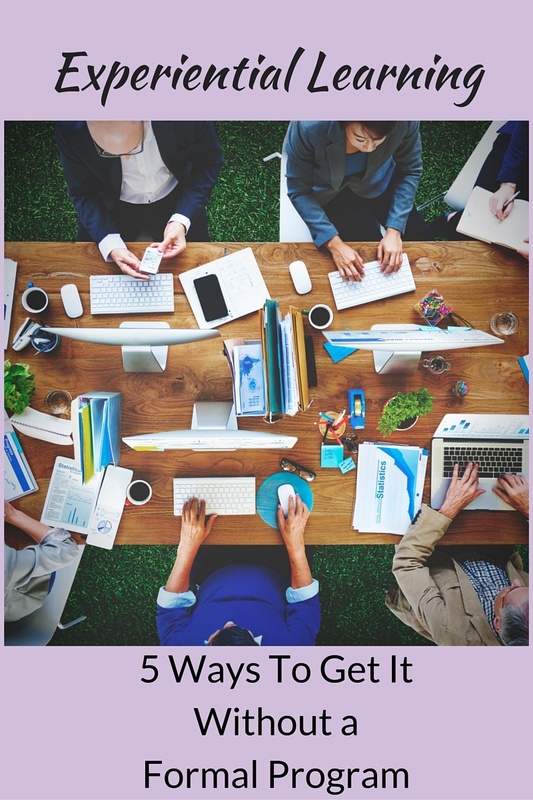 Samples were written for the common yet vague goals to “be a better communicator” and “improve leadership skills.” If you haven’t already done so, I recommend you read that post first before continuing with this one, because this post is a continuation of that example. 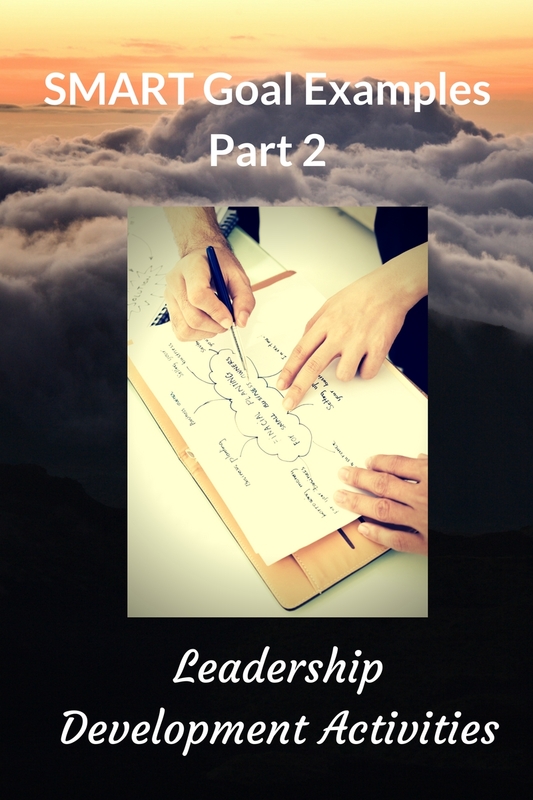 This post will focus on leadership development activities as opposed to leadership development goals. In development planning, there’s a difference between goals and activities. Goals set the foundation for what the activities should be, while activities support the goal and should be established after the SMART goal is written. Writing Leadership Development Activities is Not Easy! Although it’s widely recognized that true development requires application of learning material that extends far beyond formalized training, it’s still common for leadership development activities to be comprised mainly of commitments to attend some sort of leadership boot camp, read some popular leadership books, or perhaps if there is budget, participate in leadership coaching. Unless you work in L&D and have expertise in development planning, don’t be ashamed if this resonates with you. Most employees are not experts in development planning, particularly when it comes to leadership development activities. Loading up a non-HR employee with a stack of development “resources” that require hours to parse through, organize, and customize is the equivalent of providing an individual who’s barely cooked anything in life with the recipe for Gordon Ramsey’s beef wellington and asking for it to be cooked medium rare. Possible, yes, but also likely to be painful and demotivating. Here are a two sets of examples for leadership development activities that support the SMART goals for leadership development written in the previous post. Each set follows a model that starts with a learning activity and is then followed by the sequential phases of planning, practice, application, and measurement. Each activity should have its own deadline and if necessary, documentation for required resources, contingencies, etc. Provide feedback to members of a project team regarding their performance that is viewed as meaningful and timely. Read ­­­this blog about giving feedback. Attend company training on giving feedback to employees. Establish a schedule for how often I’ll give feedback and a method for tracking it to hold myself accountable. Participate in an assessment center exercise where I role play giving feedback to a person. Prepare for one discussion and role play the discussion with a colleague. Establish a practice for giving feedback to 1 new person each week until everyone has received it at least once. Make sure feedback is delivered within the timeframe previously specified. Schedule feedback sessions on my calendar to remind me. Debrief with the employee after giving the feedback. Conduct a brief feedback survey of employees asking about the quality and timeliness of my feedback. Review the tracked data that shows the time span between when an incident or event occurred and when I gave the feedback, evaluate against the target I set. Motivate employees in the organization to stay focused and persevere through challenges when working on a project. Complete the course Motivating and Engaging Employees. Collect data to learn what motivates employees in my organization. Go to lunch with 2 employees per month. At the lunch, ask questions about what they find motivating and demotivating. Experiment with new motivational techniques that I learned from research and talking to employees. Try out at least 3 different approaches. Identify the most effective strategy that worked in the practice phase and begin using it when challenges on a project surface. Conduct a brief feedback survey of employees asking about the effectiveness of my motivational techniques during challenging times. Review team turnover statistics between Q3 and Q4 as compared to Q1 and Q2. Review project successes and failures for the past two quarters. Remember these are just examples, there are many more leadership development activities that could be relevant to these goals. What would you add or change? Have you done any of these activities or helped a client do so? Share in the comments! Experiential learning, as you might guess, is learning by experience. Check out the wiki for more detail. It’s a great way to learn because it allows for application of newly acquired knowledge to real-world situations. Check out this recent ATD post for a few examples of how some companies have implemented impressive and robust experiential learning programs to develop their employees. But times are changing. Mindy Mackenzie says it perfectly in a recent Chief Learning Officer post. “Companies are not obliged to develop every employee …or to create elaborate development plans…” It’s becoming more common for employees to be expected to drive their own career development rather than their employer. Yikes! This may sound overwhelming not only for the employees who now need to own their development, but for the HR team that needs to convince them to do so. How can people get this kind of development if the company isn’t even offering it anymore? Good news, it’s not as difficult as you might think. Every day at work is an experience – i.e. experiential learning. Communication breakdowns occur. Technology crashes. A customer crisis you never expected thwarts your day. When you’re involved in these types of events, they provide great opportunities for learning. Unfortunately they’re tough to plan for as the basis for experiential learning because you don’t know when they will happen. There are, however, several types of projects that are commonly found in organizations that also provide a rich setting for experiential learning. They are more predictable and typically involve people from multiple areas of the company. Provided you know the specific area you want to focus on for development, you can tailor your participation to work on an aspect of the project that will allow you to use the skill you are seeking to develop. For example, if you’re targeting to improve your verbal communication skills, make sure your involvement in the project allows you to deliver presentations, facilitate meetings, etc. Implementation of new technology is more than just pushing the button. There will be users impacted, implementation decisions to be made, and deadlines that need to be met. You can get experiential learning in areas such as communication, influence, decision making, and dealing with change, among others. Keep in mind, new technology gets implemented in every department, not just IT. Start asking people you know in different departments if they will be implementing new technology in the near future to identify potential opportunities. In today’s world, cost savings is not just for the finance team. I’m betting you’ve been impacted by various cost-cutting measures on a regular basis at some point in the recent past. Cost-cutting projects can lead to the creation of more innovative and creative products, services, or processes, particularly in older organizations that still rely on manual yet labor-intensive work. If you’re looking to develop your problem solving skills, learn more about your company’s business, or work on building relationships with others, ask around to find out where a cost-savings project is going on. Many companies develop new products on a regular basis to stay current. This type of project is great to work on if you’re looking to learn more about your company’s strategy or customers. Experiential learning may result from lots of cross-functional exposure because there will be stakeholders from across the company involved in the project. In addition to the technical experts for the new product, you may need to work with people in communications, marketing, production, perhaps IT or finance to name a few. When looking for new product work, think broadly. New products don’t necessarily need to be tangible. They could also be services offered by a support department, such as a new consulting service offered by HR or a new reporting feature available on customer invoices. 4. Company strategy / goals / vision / values. From time to time, organizations examine their strategic plan. Often teams are formed to provide input to leadership from various perspectives. Participating in this type of activity can help you build relationships with people across the company and also develop strategic thinking skills. Participation in these types of teams is not always solicited publicly so ask your boss or a trusted adviser to let you know when they hear of potential opportunities to participate. 5. Lessons learned / postmortem. Sometimes, mistakes are made. When the impact of the mistake is significant, your company may form a team to examine the situation in depth as a learning experience to prevent it from reoccurring. Next time you learn of a significant mistake made in your area, ask to be involved in the lessons learned exercise for your development. It could pose opportunity to build your analytical skill by examining the mistake itself, while also applying your ability to communicate and collaborate with others through discussions that may be sensitive. If you’re not aware of projects or teams like this in your company, start seeking them out by asking. If you’re not comfortable asking your boss, ask people you have strong relationships with, or ask your HR representative. Chances are someone will have an urgent need for help and see your inquiry as a win-win approach. Have you informally received experiential learning by working on a project? What did you learn and how did you experience it in the project? Share your insight in the comments.